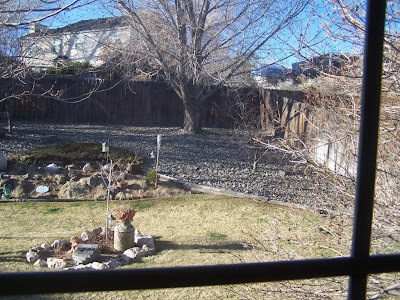 It might not look like it, but in a couple of months, this will all be green. As green as the high desert can get that is. 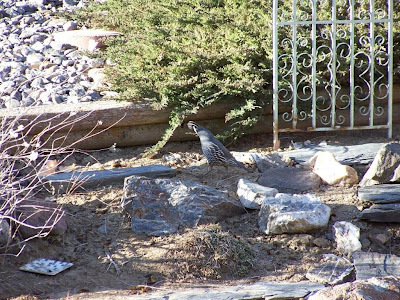 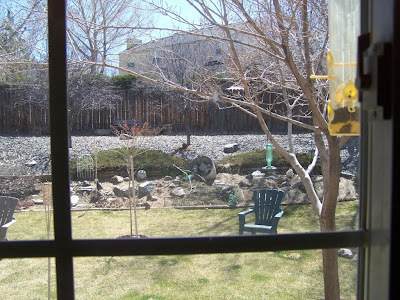 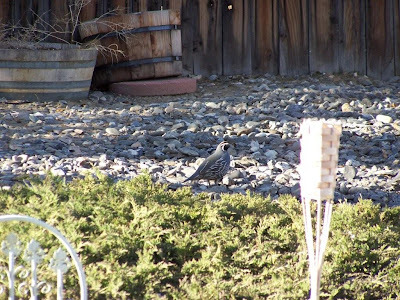 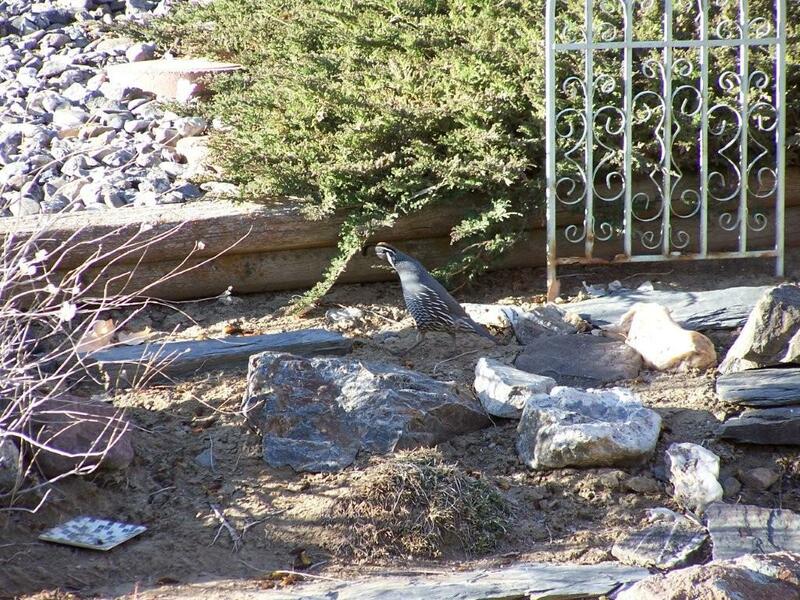 This morning while having coffee, I noticed quail in the backyard, I tried to get some pictures, but they are quite skittish....and they also blend into the rock garden. 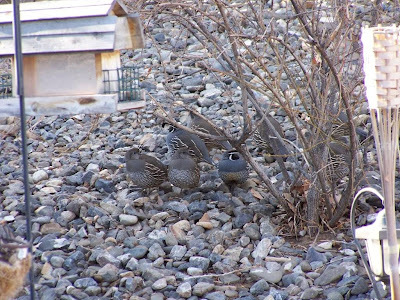 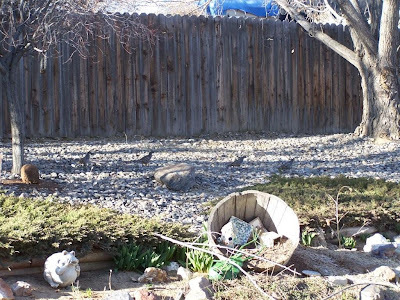 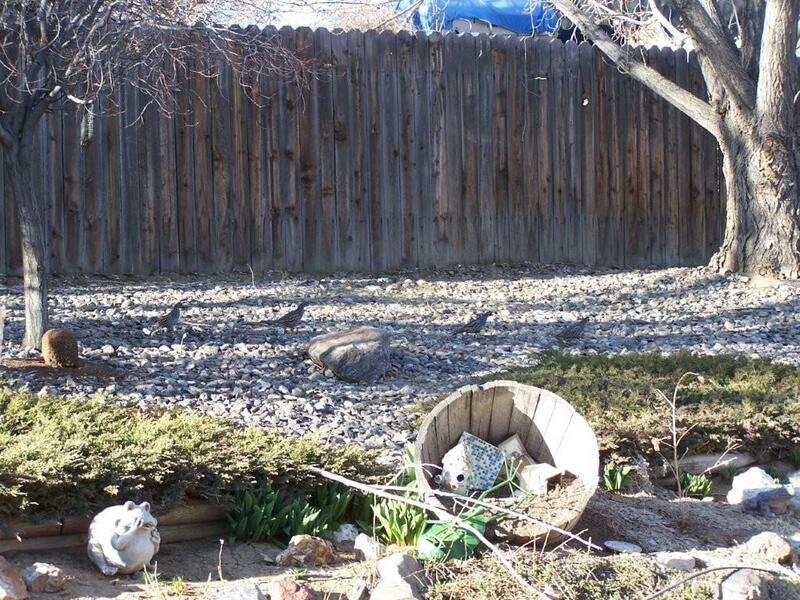 A family of Quail running across the back of my yard...they didn't like me out there watching them.